With the Holidays approaching quickly, Milestone is here to help you make the most out of the exciting end of the year festivities! This short video introduces our complimentary offer in a nutshell; helping make the most of the holidays for both you and your hotel visitors during the holiday season. To join in the holiday spirit, Milestone is again offering complimentary holiday pages to all of our clients. Holiday pages are the perfect engagement tool for hotel guests, offering abundant and relevant information on events such as seasonal parades, holiday tree lightings, Turkey Trots, Halloween haunted houses and more! Why take advantage of this complimentary seasonal offer? These pages will bring fresh content to your website which is sharable on your social media channels and engaging for everyone. After all who doesn’t like to talk about Halloween, Thanksgiving, Christmas, Hannukah, and New Years! 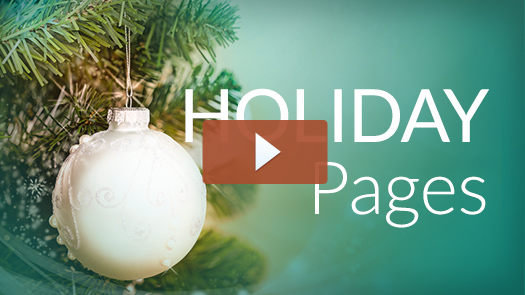 Holiday Pages will have the same look and feel as your current website, and include details about holiday events, local shopping deals, and of course any seasonal or holiday promotions you are offering on property. How to learn more about Holiday Pages? Connect with your Milestone Account Manager today to learn how to take advantage of this complimentary seasonal offer! Get ahead of the game by giving your guests information about seasonal activities, and your seasonal promotions. Thank you for including us in your holiday page. This is great! Please let me know how we get started. Thanks for reaching out. We will have a team member get in touch with you shortly! Home Facebook Apps Strategies for Hotels	Ranking Reports – Are They Valuable Website Performance Metrics?